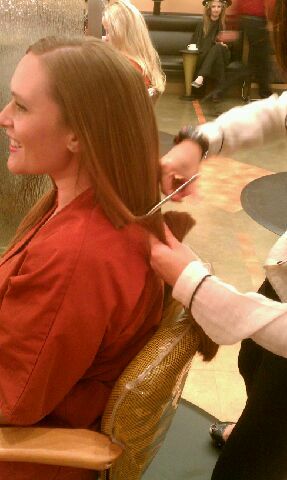 The minimum donation of hair is 10 inches, but the good news is that your longest layer counts! Read more on their FAQ page! My friend cutting her hair a week later. 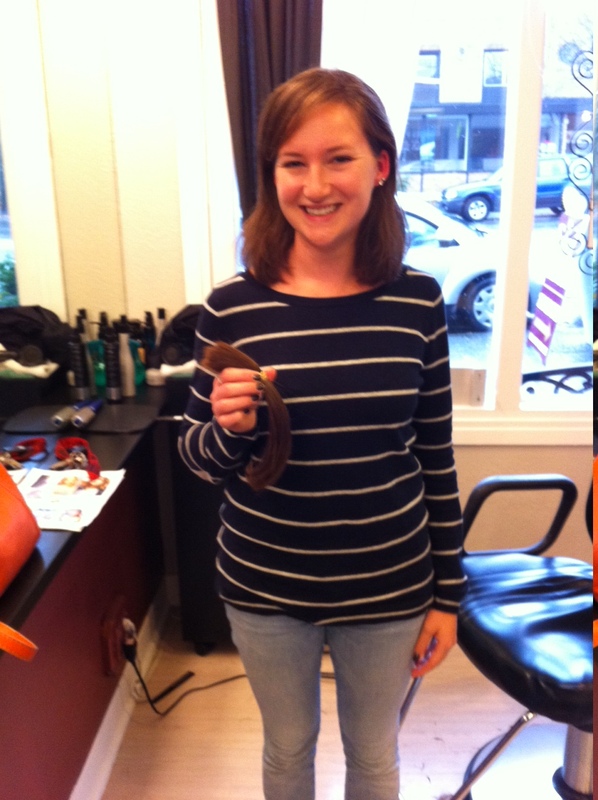 It makes giving 10 inches a lot easier when you realize how fortunate you are to continue growing your own hair, as you’re not battling a deadly disease. Join the other donors, it is a BIG give to the kids and the cut only take a minute! Plus, you might inspire someone else to do it, too! How are you giving back this holiday?